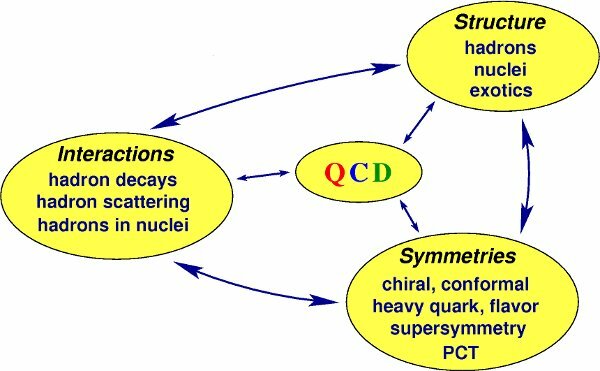 The Sino-German CRC 110 deals with one of the most challenging problems in contemporary theoretical physics, namely the theory of strong interactions QCD. The CRC focusses on the emergence of structure like hadrons and nuclei and the role of symmetries in QCD. This is the first time that such a unified approach of hadronic and nuclear physics is attempted. The CRC also pioneers a collaboration of leading scientists in this field from China (IHEP, ITP and Peking University) and Germany (Bonn University, FZ Jülich, Bochum University, TU Munich). The CRC is co-funded by the NSFC and the DFG.